1942 JAPANESE OCCUPATION, SG.J58-J60, Japanese 1-3Sen with overprints 1C, 2C, 3C, on cut-square with CDS MAUBIN; perfect quality, with certificate BPA; rare tricolour franking! 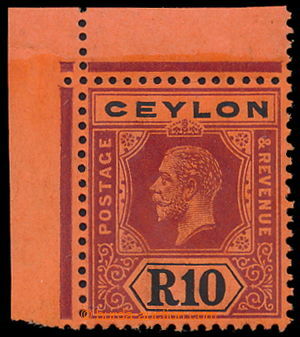 1931-1939 SG.O67, O82-84, official George VI., 2R PATIALA STATE SERVICE and 1R, 2R, 5R PATIALA SERVICE (complete issue); upper marginal blocks-of-4 with GUTTER; one stamp fold, otherwise VF, cat. 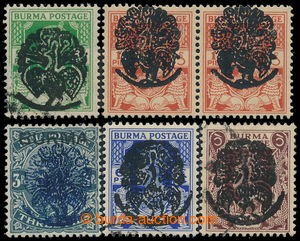 only as single stamps £240; rare blocks! 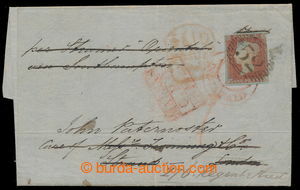 1892 SG.27a, Brooke 3C, block of four with overprint ONE CENT, on 3 stamps overprint almost completely OMITTED; interesting and attractive speciality! cca 1920-2002 [COLLECTIONS] accumulation in larger box, contains i.a. old China, PR of China and Taiwan, thousand of stamps, sets (some better) and miniature sheets, in 9 stockbooks and in envelopes, lot of MNH material, in addition 3 annual volumes of Taiwan; from important estate, 12kg of material! 1994-1997 [COLLECTIONS] MINIATURE SHEETS / collection of ca. 700 especially exhibition miniature sheets, i.a. 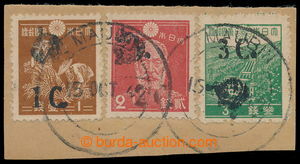 Bangkok 93 and Hongkong 97; high catalogue value, face-value H$ 8.700! 1960-1990 [COLLECTIONS] accumulation in larger box, thousands of sets, miniature sheets, blocks and sheets; in 3 stockbooks in envelopes, mainly DPRK i.a. with sought motives of 1960´s (sets, sheets), supplemented with South Korea with many souvenir sheets and PB; 9.5kg of material!